Whether you are buying a home, trying to refinance your mortgage or simply have a question, our Team is always available to help you. Please feel free to give us a call or contact us at any time. Peak Mortgage Solutions is perfect for any mortgage needs, you may have. If you'd like to know the rate which you qualify for, apply online, and we will give you an accurate assessment. Larry MacKenzie has more than 15 years of experience providing mortgage financing to clients from diverse situtations and backgrounds. Whether self employed or retired, excellent credit or below average, Larry has aligned himself with a wide array of banks that can match the best programs and service to meet the needs of any homeowner. 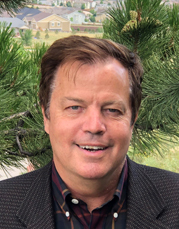 He is a Licensed Mortgage Originator in the state of Colorado, and has owned Peak Mortgage Solutions in the Denver metro area since 2000. He holds a B.B.A in Finance from the University of Texas. Rich's background has been in Financial Planning, and he is a Certified Mortgage Planner with Peak Mortgage Solutions. 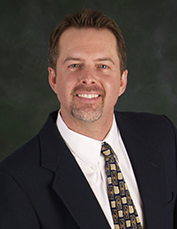 He has an MBA from the University of Denver and has been in the mortgage business for over 18 years. He has experienced many "ups" and "downs" over the years and prides himself in giving clients the lowest rates with the lowest costs of any lender out there. Rich employs the most seasoned loan processors who make the whole process go as smoothly as possible. Rich and his group do a wonderful job of not only getting you the best mortgage for your particular needs, but they really excel at communication and customer service. Quick responses, and a very direct no non sense approach makes the lending side of the real estate deal very pleasant. Thanks. Rich has helped my family and myself through the loan process for many years and we will continue to use him in the future. Rich is great at what he does. He is very knowledgeable about the market, and knows when it is a good time to do a no-cost refinance. Thank you! It's a great time to purchase or refinance your new home. Get the process started by applying with Peak Mortgage Solutions today!